YAAMNY and UnitedInsight would like to invite you to our one-day conference presenting award-winning negotiations educator Daylian Cain (Yale School of Management), who has trained global Fortune 500 companies to outsmart their competitors. - How to go beyond traditional win-win. "Companies that apply this type of training have outperformed their competitors by 85% in sales growth in just one year." Dr Cain's work has been featured in Forbes, Harvard Business Review, The Wall Street Journal, and the Washington Post as well as on CNN and in books published worldwide. - Learn when you should make the first offer, and how much information you should reveal. - Take away persuasion and influence techniques to apply immediately in any scenario. - Get insight into you opponent's thinking so you can take control of your negotiation and close. 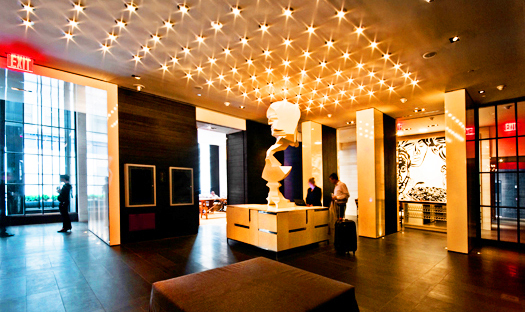 - Network during complimentary breakfast, lunch, coffee and open bar reception at the Andaz Fifth Avenue, Midtown Manhattan. WE ARE HAPPY TO OFFER YALE ALUMNI A LARGE 10% DISCOUNT ON ALL TICKET PURCHASES! �- please ring for information on group discounts.